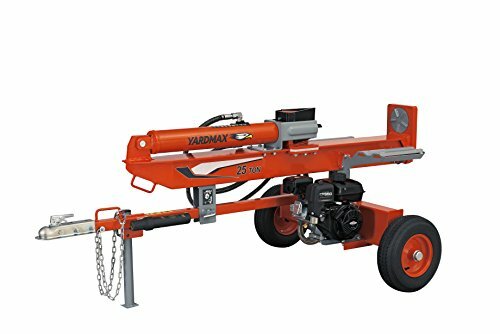 The YARDMAX 25 Ton Full Beam Gas Log Splitter comes with numerous, standard design enhancements for better, longer performance. Ready to take on heavy-duty applications, the YARDMAX gas log splitters provide durability under challenging scenarios, time and again. Compact, rugged, and easy to assemble and maneuver, it splits logs safely and effortlessly when loaded from either side of the machine in either a vertical or horizontal position. The oversized hydraulic components provide the shortest cycle time in its class. A pair of large log cradles come standard and a patent pending log spinner foot plate easily rotates logs for splitting, reducing stress.